This is the catchy title of the 17th annual SAAFFI seminar – that will be looking at how these trends affect the flavour and fragrance and allied industries. The 2019 event, the 17th SAAFFI seminar, will be held on Tuesday, 14th March 2019 at the Bytes Conference Centre in Midrand, Gauteng. SAAFFI is the official body of the local flavour and fragrance industry. “The full-day program features an impressive line-up of speakers, a hands-on workshop, an inspiring motivational presentation and a networking cocktail event, where various interesting (sometimes dramatic!) tastes and aromas will be showcased, says SAAFFI’s Sharon Bolel. For the last 17 years, the annual SAAFFI seminar has attracted around 200 key personnel drawn from a wide range of companies both in the flavour & fragrance sector, and from FMCG companies (who are users of flavours and fragrances), as well as academics, consultants, regulators, raw material suppliers and anyone interested in the fascinating world of fragrance and flavours. The day offers a valuable learning and networking opportunity to people in management, sales, marketing, technical, procurement, R&D, applications, operations and even tertiary level students. Addressing relevant topics of newsworthy interest, and confronting thorny business issues has always been one of the guiding principles of the organising committee. 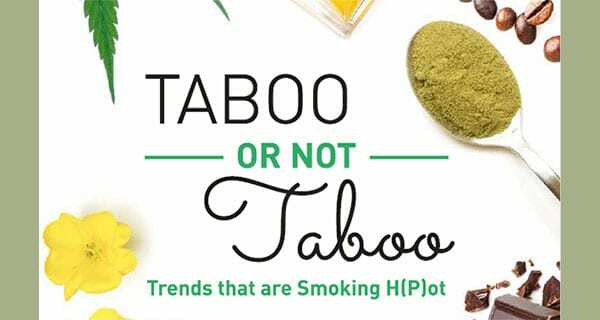 The 2019 seminar themed “TABOO or not TABOO – trends that are smoking H(P)ot!” will examine issues of relevance to our industry which were once taboo, and have now opened up – are now allowed, and even trendy! Of course, we have jumped on the cannabis band-wagon. But there are so many other topics, products and concepts which have moved from the space of being “Taboo” into the space of being accepted and sometimes desirable. Presentation topics include flavour trends, fragrance trends, the journey towards cannabis beer, food fraud, insect protein, the taboos of the future, taboos in overcoming the “diversity, inclusion, equality” conundrum. Peak hour traffic concerns can be happily allayed as the Gautrain serves the venue. “This is an industry event which offers so much for so many. Those who attend are sure to take away added skills, useful information and a solid dose of career-oriented motivation,” adds Bolel. SAAFFI, the South African Association of the Flavour & Fragrance Industry, represents all aspects of this fascinating industry. It unites the industry across non-competitive issues, freeing up individual organisations to grow their business.